Vodafone Fijian 7s head coach Ben Ryan hopes to bring former England 7s player Chris Cracknell to be part of his coaching staff in the lead-up to the 2016 Rio Olympics. Ryan made the revelation while speaking to SUNsports yesterday ahead of this weekend’s 2015 London 7s. “Chris has been with us and doing it for free,”Ryan said. 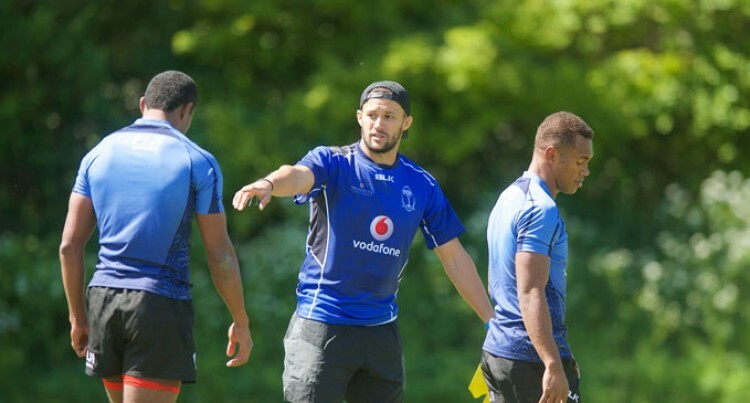 Following Fiji’s scrimmage match with Brazil, Ryan said everything went well and also confirmed they had been restricting visits to the team by the Fijian community in London. Meanwhile, Vodafone Fijian 7s skipper Osea Kolinisau shared to World Rugby earlier this week his team’s desire to repeat the historic success achieved by sevens maestro Waisale Serevi back in 2005/2006. good as it can turn gold into diamonds. “Taking one game at a time, the reality is we have to focus on our first game. It would be really special to win the World Series title. Sporting icon Serevi led the national 7s side to their first ever series title win after finishing top of the table in the 2005-2006 season, ending New Zealand’s six-year reign. Fiji will have to contend for the final title of the series with current Number Two South Africa and defending champions New Zealand with a difference of just eight points between the top three teams.